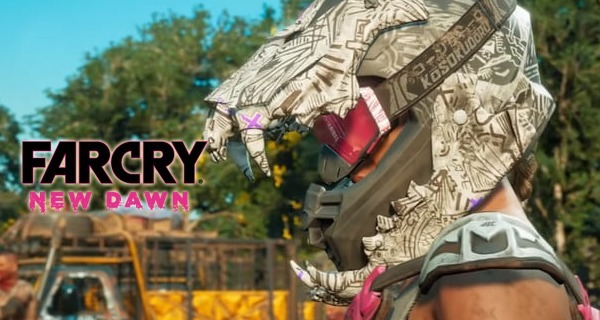 Ubisoft has launched a new Far Cry New Dawn story trailer and this has a seriously unexpected twist. Far Cry New Dawn is set in the world of Far Cry 5 but is with a different protagonist as well as a different story. Also, this is not a full Far Cry game and is just like Far Cry: Primal or Far Cry 3: Blood Dragon. New Dawn as mentioned earlier has a new story for the Far Cry location. Its new story is actually tied to the game’s original story taking place in Hope County, MT but years after the events of Far Cry 5. Are you surprised by the crazy twist? There are two evil twins running around and terrorizing everybody, and you have no choice but to ask help from the cult leader himself Joseph Seed from Far Cry 5. Far Cry New Dawn is set to launch on February 15, 2019, for PC, PlayStation 4 and Xbox One.